KiKi Lane as Tish in Barry Jenkins' new film. (Courtesy of Annapurna). 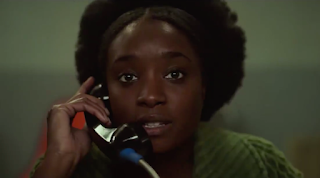 My interview with Barry Jenkins for If Beale Street Could Talk is here: http://www.filmjournal.com/features/harlem-serenade-barry-jenkins-brings-moonlight-magic-james-baldwins-if-beale-street-could Jenkins' breakout film was Moonlight (2016), set in his home state of Florida. It won the young writer-director two Oscars, Best Picture and Best Adapted Screenplay. Tao Zhao as Quaio in Zia Zhangke's latest film. (Courtesy of Cohen Media). My interview with Chinese filmmaker Jia Zhangke for Ash is the Purest White is here: http://www.filmjournal.com/features/crime-and-passion-jia-zhangkes-ash-purest-white-time-spanning-story-love-and-betrayal The award-winning "art house" writer-director is best-known for A Touch of Sin (2013) which won Best Screenplay at Cannes, but he has made many other wonderful films including the recent Mountains May Depart (2015). Nearly all of his movies are set in the Chinese province of his birth. 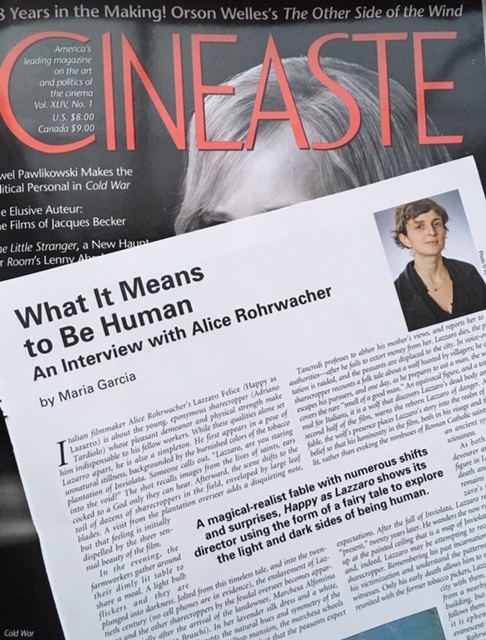 Finally, my interview with another award-winning "art house" director, Italian filmmaker Alice Rohrwacher, for Lazzaro Felice, will appear in the Winter issue of Cineaste. You will have to purchase that at Barnes & Noble or your local newsstand.